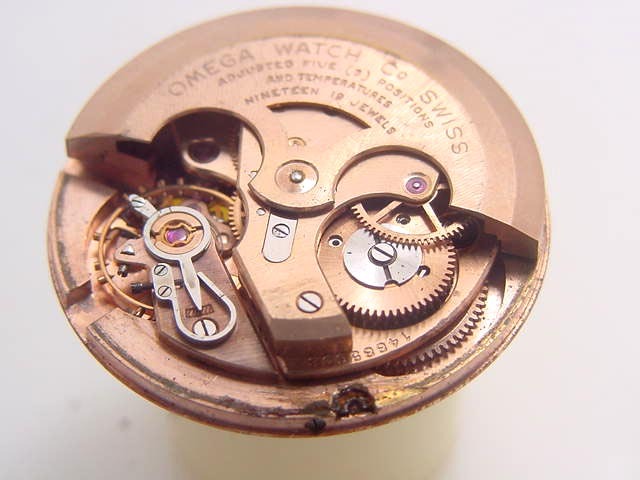 Here's a good news story about a 500 series Omega chronometer movement that proves there is indeed life after death. The pictures are before and afters of a restoration by Tim Mackrain, who trades under the name Omega_Addict. 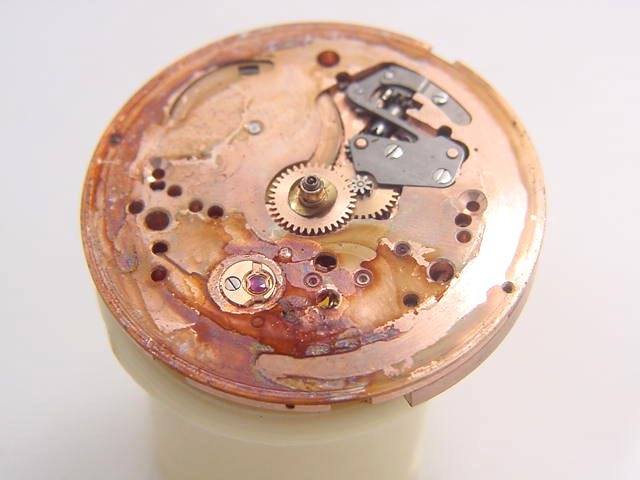 "I took it apart, cleaned the rusted parts , removed the case clamp screw which was rusted and broken off in the hole. (You can see the damage to the plate that had occurred before I started). I cleaned the rest of the parts and then repeated the process for the parts that were rusted. 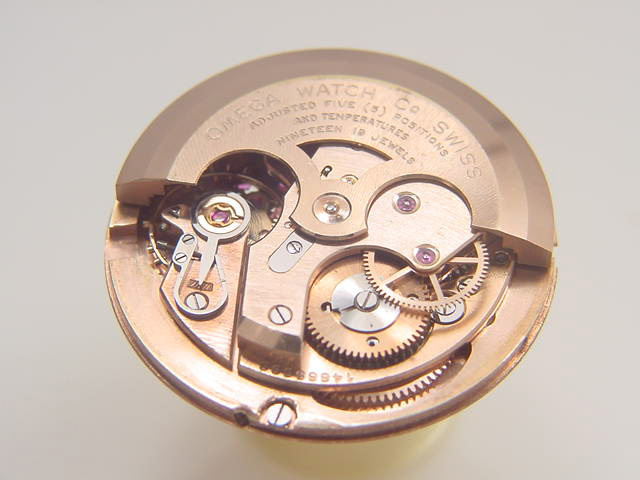 Then the movement was given the rest of a regular service. 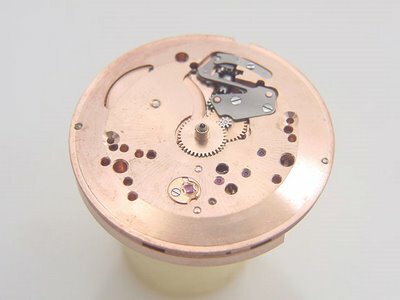 The watch was run on the timing machine and then reunited with dial and case and was timed on the timing machine again. The watch was run for three days before a final timing check." Tim says that "This one was relatively easy to restore, but that does not mean they are all going to work out that way." He doesn't recommend buying a watch with extensive rust in the hope that it can be saved. "It can end up costing quite a bit, depending how bad it is." But in the case of a watch with great sentimental value or history, the price paid for a genuine restoration, to many people, would be small compared with the joy of seeing an heirloom such as the example shown purring away quietly.